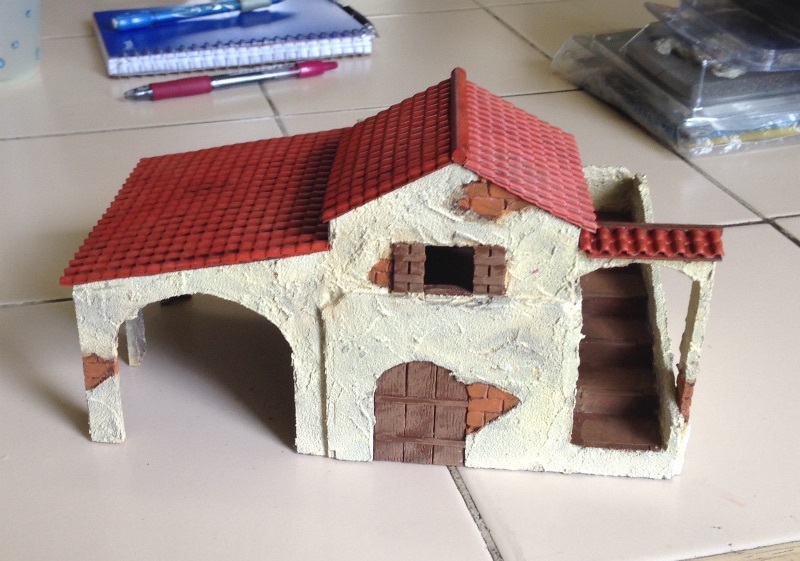 Like the title says, I’ve finished the building on the small sized Q building from Bandua. I admit that I have been kind of dragging my feet of this one. I think because I’m not overly thrilled with it. I don’t think I’ll buy any more of the Bandau buildings due to their small sizing. 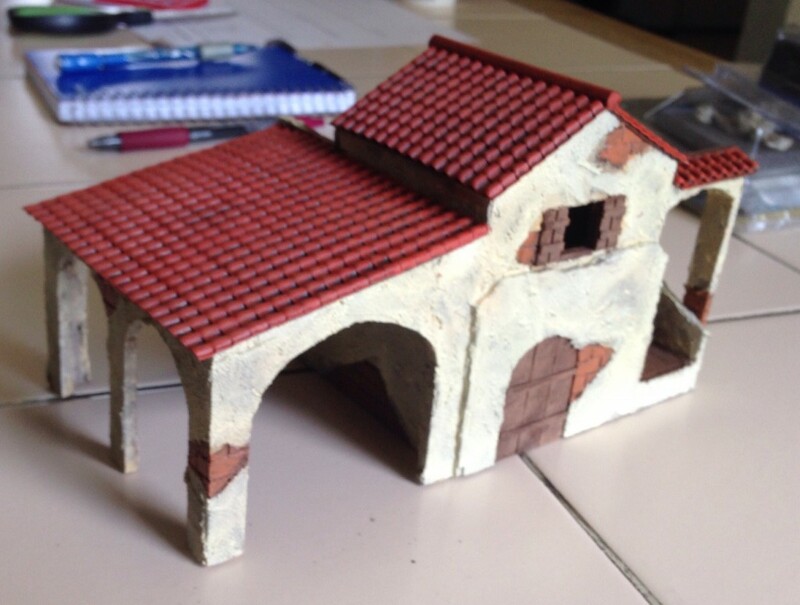 (I still have the medium one and a couple of the small medieval looking house models.) 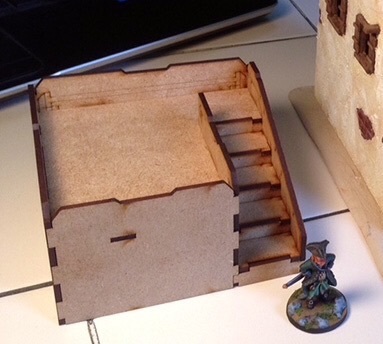 Modifying can make for a fun and challenging project but the base structure of this one is just too small and requires too much time. It would have been easier to start with a blank sheet of mdf and make my own from scratch. 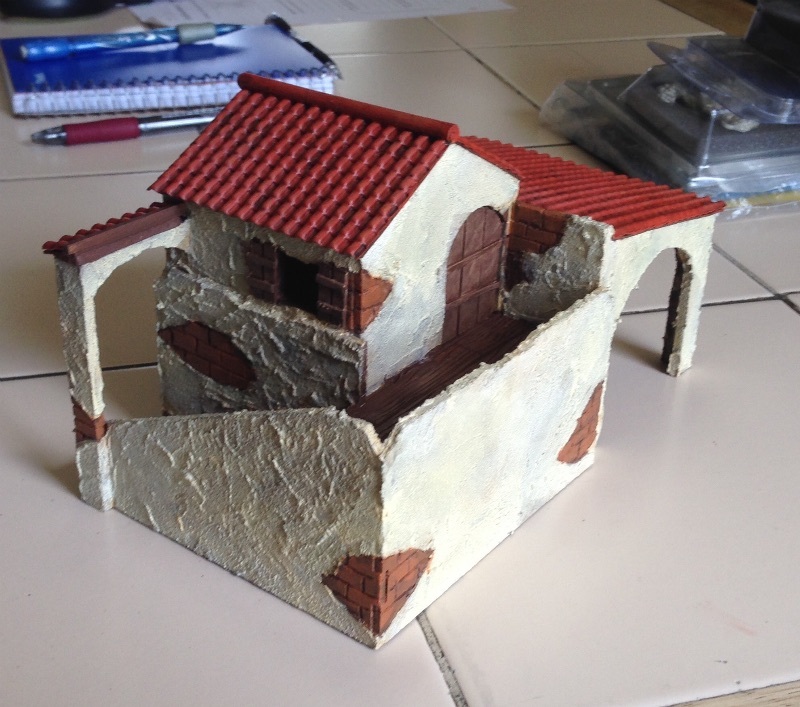 Just add wood, glue, stucco, paint, plastic and a great deal of time. Not my favorite of my buildings, but I think it’s useable. At least more so than before.